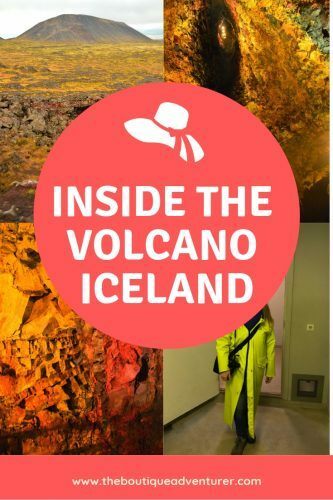 I first read about Inside the Volcano Iceland about four years ago. As soon as I read that this was the only place in the world where you could actually go inside a volcano I was hooked!! I pulled the page out of Wanderlust magazine and it went straight to the drawer! I tried to go on my last weekend breaks to Iceland 2 1/2 years ago but it was booked out. I was not going to miss out again! I got in contact nice and early to ensure that I could go Inside the Volcano Iceland!!!! -By Car – I was staying in Hella so I drove. This did take about one hour and 20 minutes but it was brilliant to have my car there at the end as I could just hop in and head out! If you are driving follow the A1 towards Reykjavik. Wait till you see a sign that actually says 417 (don’t be like me and pull off one early and end up in a major construction site!!!). This then moves on to be the 407. Keep driving up and up. There will be a sign on the left when you get to the right place – and it is a nice super clear very big sign! If you’re hiring a car check out this great post on 7 Days Around Iceland Road Trip. 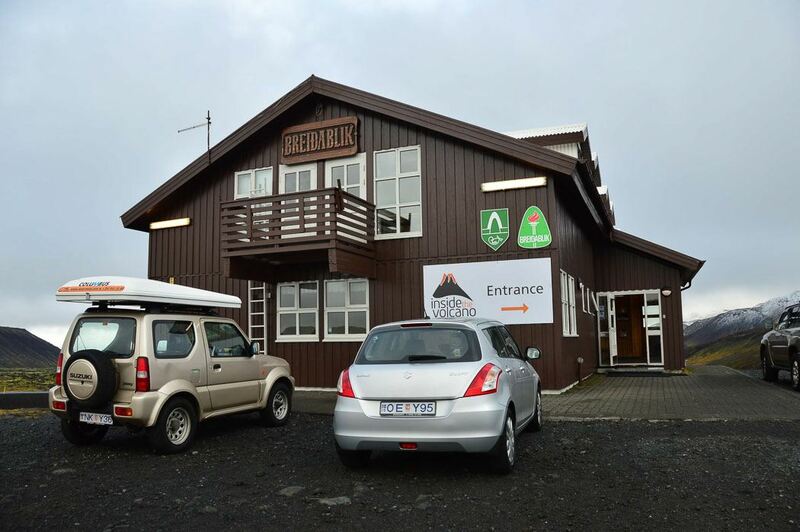 -a bit of both – if you have a car and are in Reykjavik you can drive to the Greyhound bus station in Reykjavik and meet the bus for the Volcano there. There are excellent instructions for all options on the fantastic Inside the Volcano website here. The easiest way to book is to use the big green Book now button on the website! This will give you all available days, times, pick up options etc. You can also email but this online system is great and super user-friendly. Importantly you can only go Inside a Volcano during the summer. I visited the last week of the season which was mid-October. We experienced the first snowfall of the season while we were there – you would not want to be doing the trek in heavy snow! Tours will start again in May 2018. This will be a slightly biased what to wear as I visited on literally the last week of the season and it was quite cold. However, as the volcano is quite high up and Iceland seldom gets that hot in the summer I would imagine most of the same would still apply! Shoes are the most important thing. 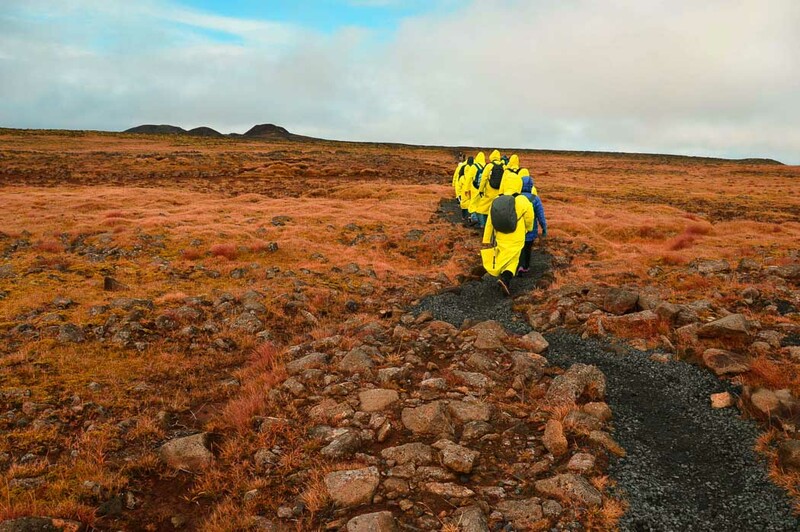 The hike along the lava fields has quite a bit of uneven terrain so really sturdy running shoes or preferably hiking boots will be of most use. Also, I climbed around quite a bit once I was inside the actual volcano and it would definitely be ideal to have some ankle support. 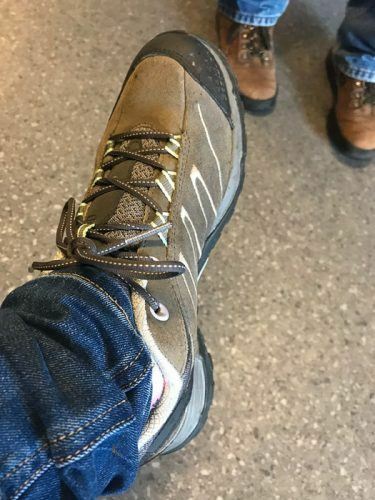 Jeans with stretch, walking trousers or warm leggings would all be good in terms of the hike and getting around the bottom of the volcano. 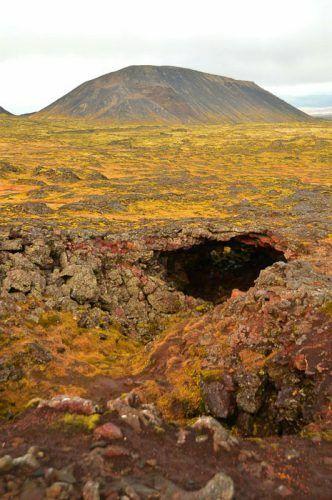 I would also bring a hat and gloves just in case – the hike is on a very open lava field and the wind gets very strong! The weather in Iceland changes frequently and dramatically. 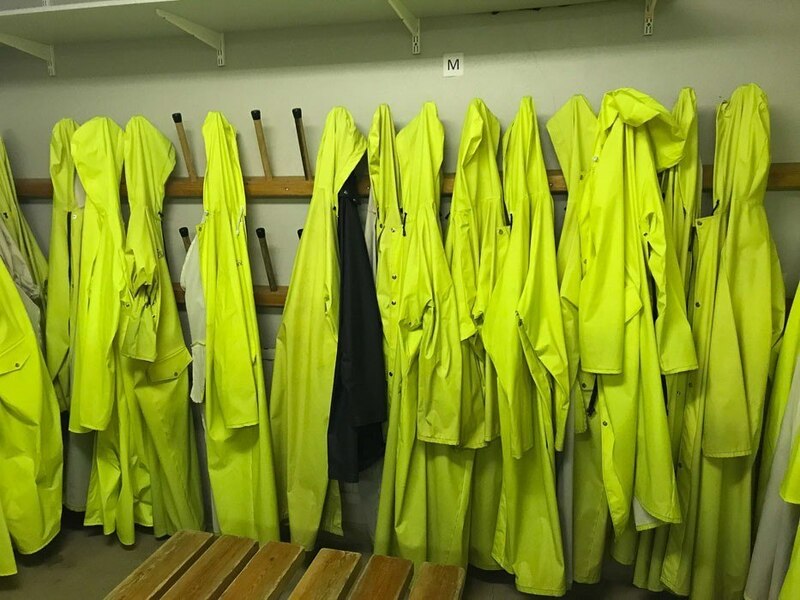 I would definitely recommend taking the team up on the free hire of the bright yellow raincoats – they were very needed! 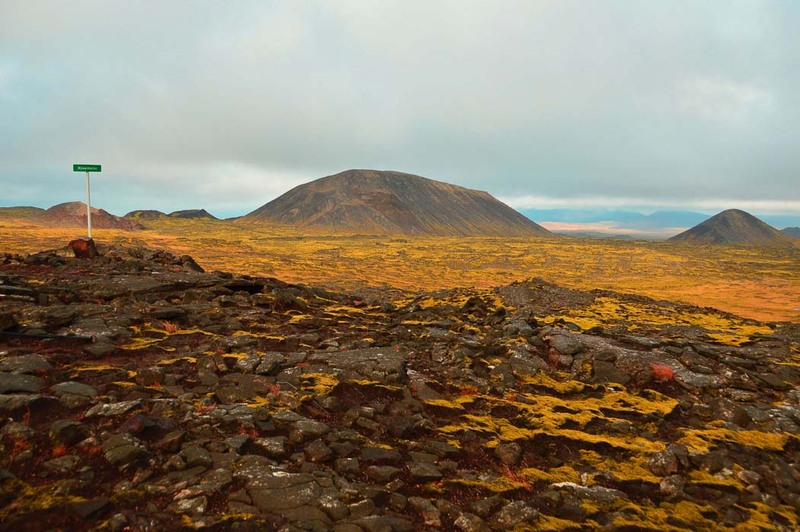 And they add a bit of The Handmaid’s Tale feel to the pictures when combined with the open lava fields! 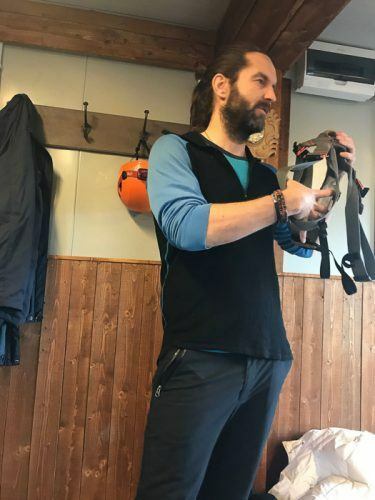 At base camp, you will be given a safety briefing and a harness and helmet. Definitely, don’t wear a skirt ladies! A bandana is also provided to wear under the helmet. I bought a water bottle with me and of course a camera! Once inside the volcano I turned the flash off and used the light from my helmet instead and this worked quite well. If you have a backpack this is the best thing to bring with you. There is storage at base camp for the backpack so I just took my phone and my camera inside the volcano. The cabin where you meet and the base camp both have toilets. 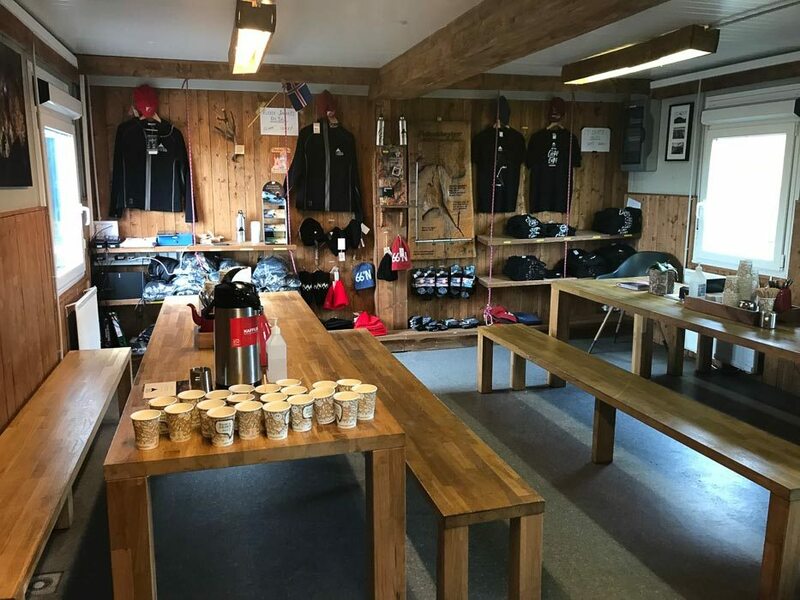 You will also be given warm beverages at base camp and wonderfully delicious Icelandic lamb soup (or a vegetarian option) after you have been down in the volcano. 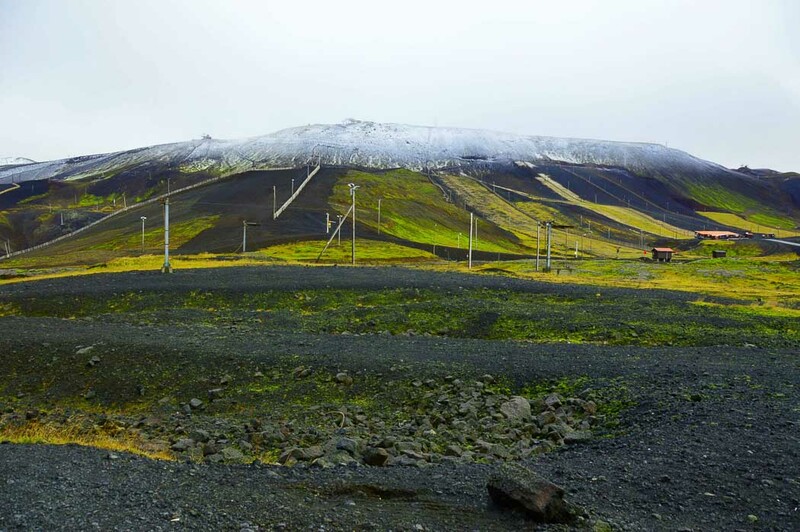 As this is Iceland there is wifi everywhere – of course! Planning on visiting the Blue Lagoon while you are in Iceland? Don’t miss my post on Blue Lagoon Iceland Reviews: The Premium Package. Everyone meets at the Blue Mountain Cabin. A safety speech is given with lots of instructions and information. You are then able to decide if you want a bright yellow raincoat (trust me you want one!). After this, we headed outside onto the lava fields. The walk is 3km each way. It is quite flat but the ground is rough and uneven thus the need for good shoes. The website suggests you should be moderately fit and I think this is a good description. If you have any issue with your ankles or walking then I would give this a miss. The only other way to the volcano is by helicopter so the walk is mandatory! The guide stays close at all times and there are loads of photo opportunities. The volcano can be seen from quite early in the hike. Initially, it just appears as 3 small mounds of earth in the distance. 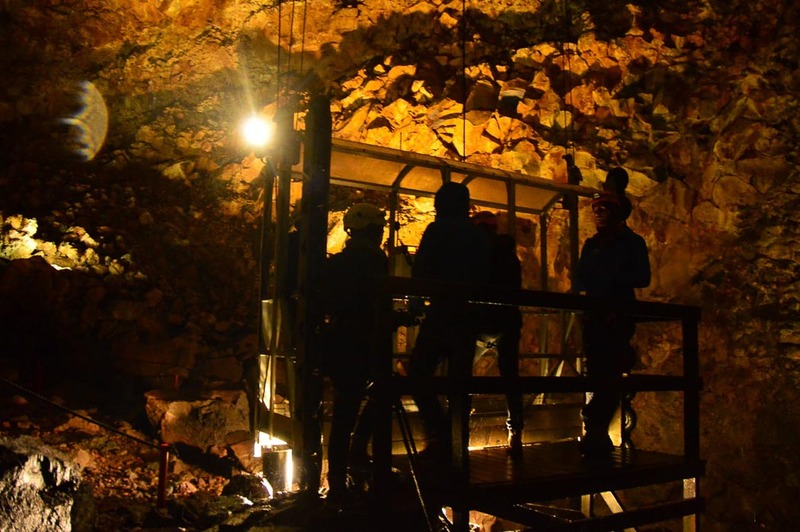 There are also a few stops along the way where you can peer into holes into the earth as the guide explains how volcanoes work. I didn’t do well listening here as I was taking too many photos! Base Camp is quite literally at the base of the entry to the volcano. At this point, my group was divided into 3. This was the group with whom you would descend into the volcano. For those staying behind there were warm beverages and wifi. When it was my group’s turn we were given a safety briefing and harnesses and helmets. We also received our souvenir Inside the Volcano bandanas! Once done up we exited base camp and did the approx 5 minute walk to the top of the volcano and the lift entry. Don’t miss my Top 10 Iceland Travel Tips to Read Before You Go. 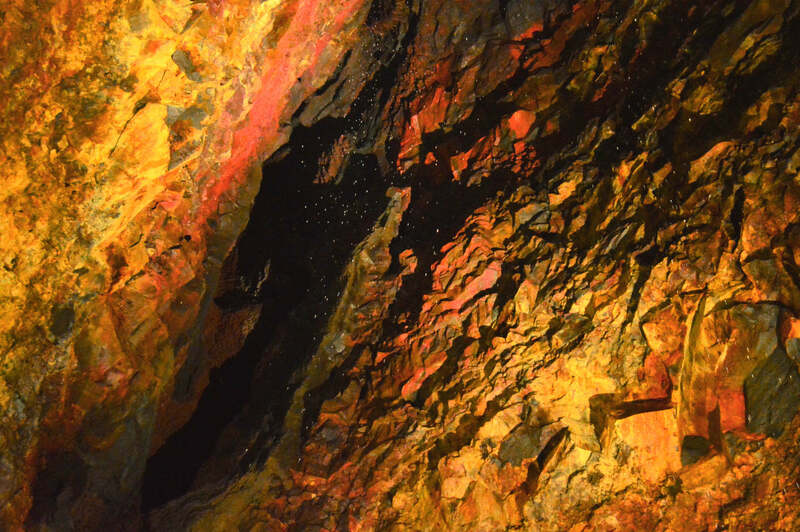 Inside the Volcano Iceland: Inside the Volcano!!! The lift is quite large and open and you attach yourself to the pathway and then the lift itself. This felt very safe. The lift takes approximately 6 minutes to descend. If you are uncomfortable with heights I would advise not looking down! If you are comfortable with heights, which I am, it was great watching the volcano heading down. It was difficult to get good photos at this point and I must admit I ended up deleting everything I took on the lift so you may as well focus on the journey! 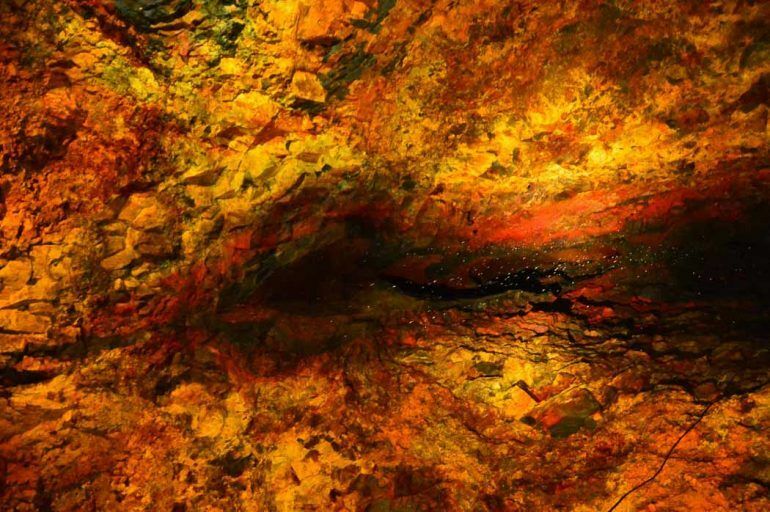 The biggest surprise to me was how incredibly colourful it is inside the volcano! I now notice that this is of course mentioned on the website but I completely did not expect the inside to be so Instagram friendly! They have done a great job lighting the inside so that you can clearly see those colours but it is still atmospheric. Apparently, it is always 4 degrees Celsius in the volcano all year round – it was warmer than it was outside the volcano for us! Once I got off the lift you then have about 20 odd minutes to walk around. There is a guided path to follow. The path can be quite tricky so it is very important to go slowly. 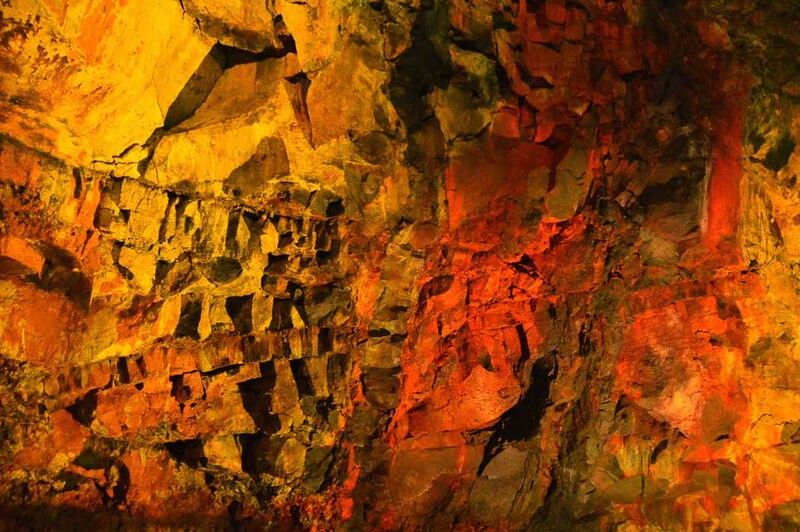 The inside is a large cavern and the colours change in intensity as you move around. I personally thought the best photos were the ones taken looking up – particularly when the lift was going up or down. It was tough to get perspective without the lift in the shot as you can see. 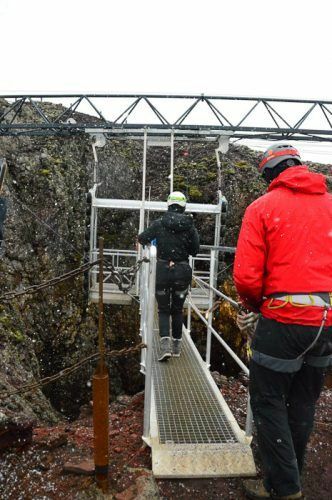 It started snowing while we were in the volcano – first of the season! This created a lovely effect of the snowflakes falling down into the volcano like glistening drops of water. After our thirty minutes at the bottom, it was back on the lift and up and out to base camp. Including the lift the total trip is about 45 minutes. Inside the Volcano: The Video! 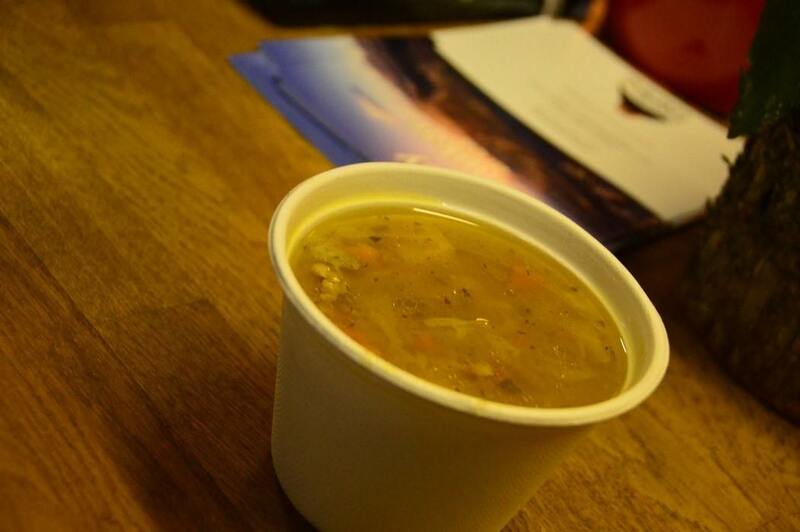 Once back at base camp I had some delicious lamb stew (vegetarian was also available). Then it was time to get our bright yellow raincoats and head back to the cabin and home. The path back to the cabin is exactly the same as the one taken to get to the volcano so it is nice and familiar. Once back to the cabin you are free to head off or wait for your return coach. I really loved this experience. The tour is handled so professionally that I was never even slightly concerned about safety. 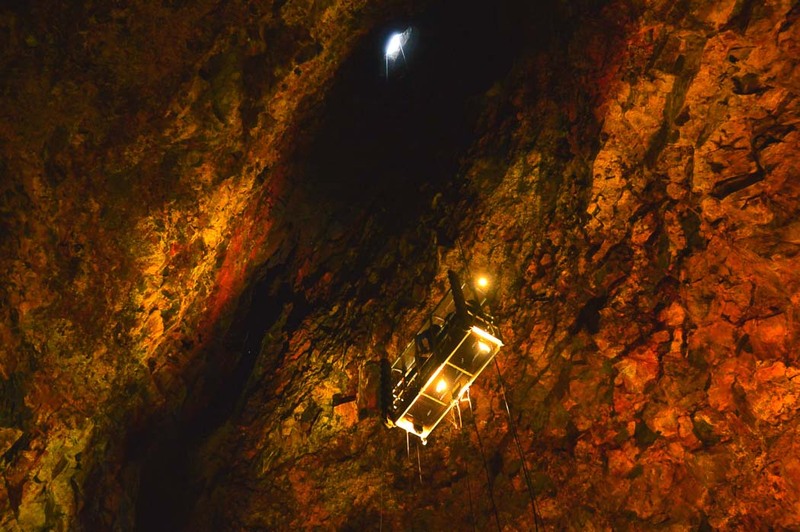 This is literally the only place in the world where you can go inside a volcano so it is a special experience. It is so stunning inside and there was something quite magical about the time spent inside. I highly recommend going Inside the Volcano! If you want to stay near the Blue Lagoon check out the Northern Lights Inn. I stayed here and really enjoyed. The food is good and I saw the Northern Lights!!!!! They have a wake-up call system for the Northern Lights which is critical. The second option near the Blue Lagoon is the newly opened The Retreat at Blue Lagoon Iceland. This is a very premium experience and it looks amazing! Drop me a line and tell me what it is like if you stay. If you want to stay in Keflavik which is only about 10km away. Two interesting looking options here are Hotel Keflavik and the Hotel Jazz. Keflavik Airport is the main international airport in Iceland. It is located about a one hour drive from Reykjavik (depending on traffic) and is only about half an hour from the Blue Lagoon. It is in the southwest of the country. This is why most visitors tend to visit the Blue Lagoon on the first or last day of their trips. I think it is a great way to end a trip. Without question the best way to see Iceland is to Hire a Car. 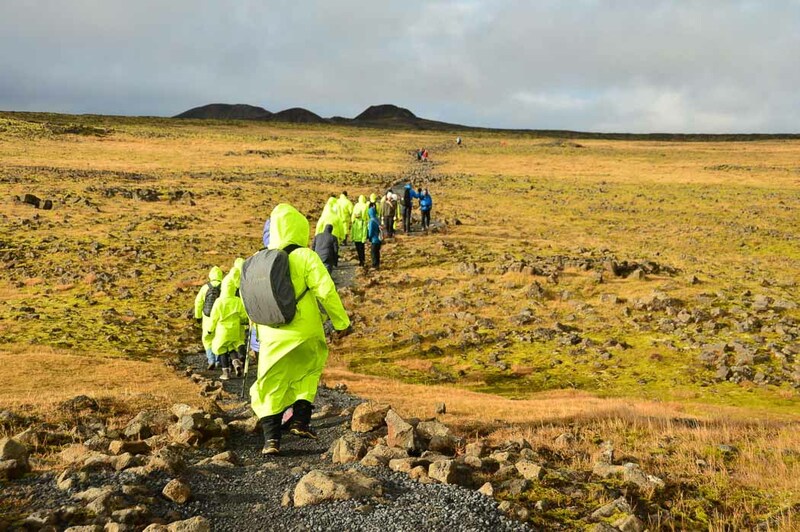 Not only will it save you a fortune it is the best way to see the most of the sites that Iceland has to offer. Most of the key sites are free eg Gullfoss so if you have a car costs drop dramatically – especially if you are with a group. Thank you to Inside the Volcano for hosting me on this trip. 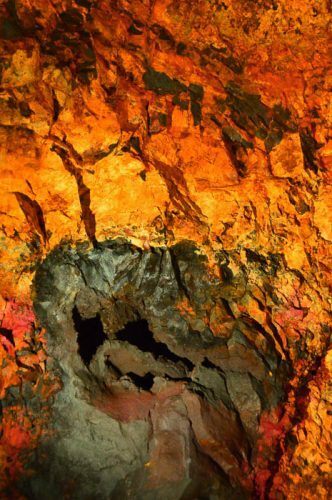 There is only one place in the world where you can go inside a volcano! 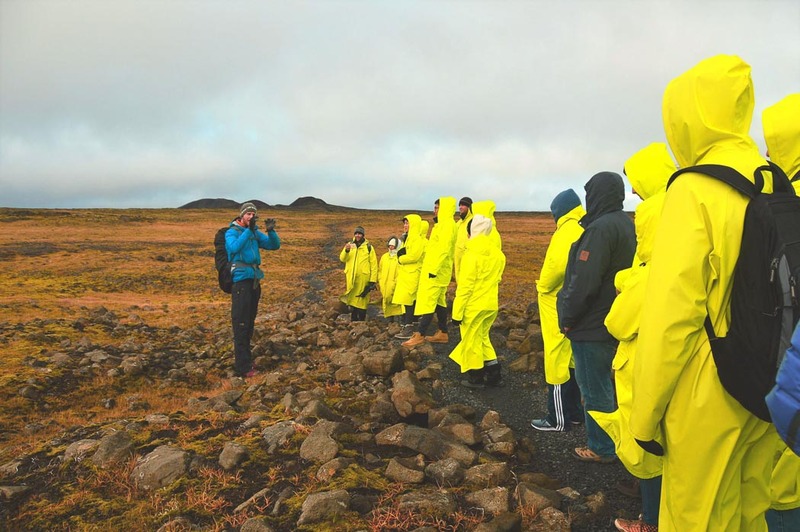 The Inside the Volcano Iceland tour is a once in a lifetime experience you must do! Pingback: Best Hotels in Iceland for Northern Lights - 2 Viewings in 5 nights! 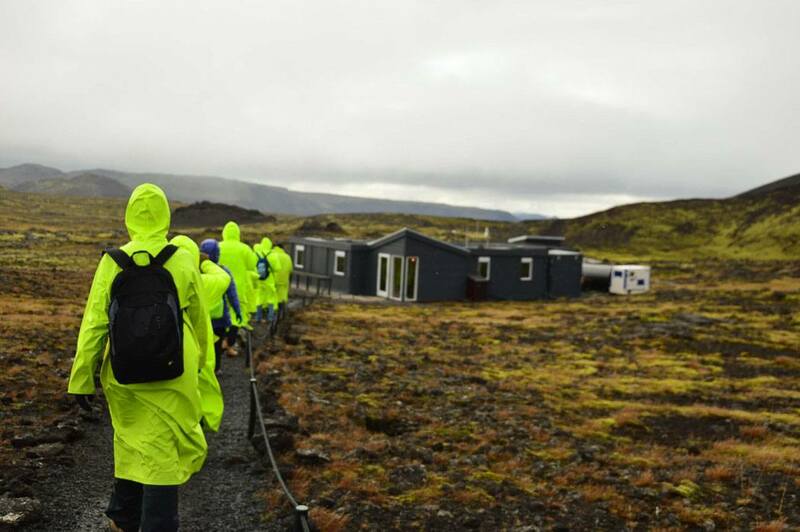 Pingback: Blue Lagoon Iceland Reviews: Is the Premium Package Worth It?